Finally, a comprehensive book on land conservation financing for community and regional conservation leaders. "A Field Guide to Conservation Finance" provides essential advice on how to tackle the universal obstacle to protecting private land in America: lack of money. Story Clark dispels the myths that conservationists can access only private funds controlled by individuals or that only large conservation organizations have clout with big capital markets. She shows how small land conservation organizations can achieve conservation goals using both traditional and cutting-edge financial strategies. Clark outlines essential tools for raising money, borrowing money, and reducing the cost of transactions. She covers a range of subjects including transfer fees, voluntary surcharges, seller financing, revolving funds, and Project Related Investment programs (PRIs). A clear, well-written overview of the basics of conservation finance with useful insights and real stories combine to create a book that is an invaluable and accessible guide for land trusts seeking to protect more land. "A Field Guide to Conservation Finance" is a two-volume resource. The first book sets out basic tools and techniques for conservationists, while the second will offer more complex examples and applications. As conservation dollars become more scarce and inaccessible, these how-to books are essential guides leading to a higher level of success in conservation finance. 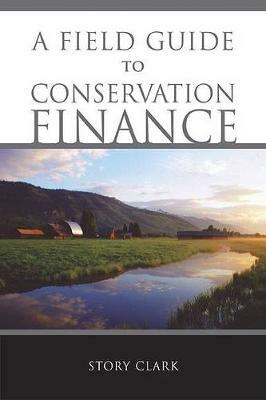 Buy A Field Guide to Conservation Finance by Story Clark from Australia's Online Independent Bookstore, Boomerang Books. Story Clark is a consultant specializing in land conservation strategy and finance, advising conservation organizations and foundations in the Rocky Mountain Region and elsewhere. She currently serves on numerous academic and business boards and is a frequent speaker and instructor at land conservation conferences.